All kinds of family sculptures products, are listed for sale on our store! 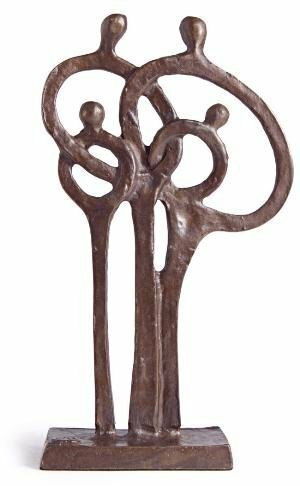 H:8" Commemorate family with this handcrafted sculpture representing a family of 4. Made using the sand-casing method, this artistic piece reminds us of the closenessand joy of family.